Mr. Kasuri began his talk by offering heartfelt condolences on the demise of 6 Pakistan’s future leaders. He commended the Youth Parliament for displaying maturity in continuing with the session despite the huge loss as that truly is a befitting tribute to their martyred members, he said. Mr. Kasuri said that Pakistan has failed to tell its side of the story on its role in war against terrorism and militancy to the World. He believed that foreign policy of a country can not be partisan but has to a multi-partisan policy that reflects the consensus in the society. 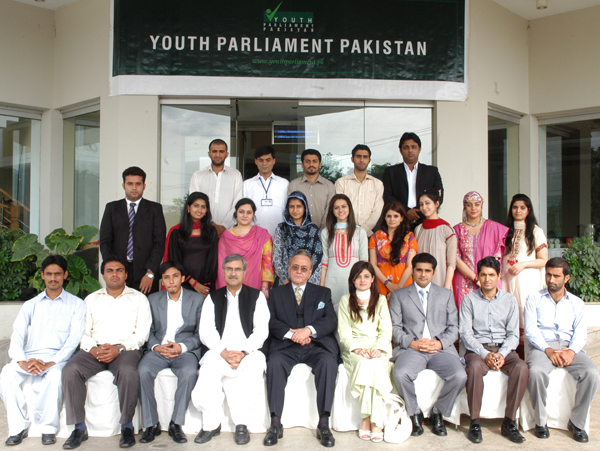 Youth Parliament projects soft power of Pakistan and the project, with its intent of harnessing youth’s leadership potential should be encouraged, believed Mr. Kasuri. 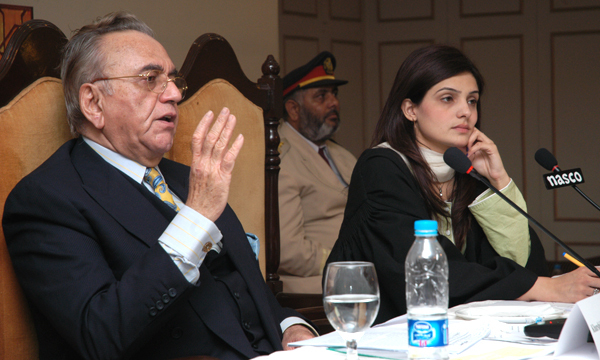 “The role of leadership is important in mobilizing people,” said Mr. Kasuri. Our government was able to improve relations with all our neighbours including India. The Kashmir issue remains a daunting task though Pakistan had made major strides towards resolving the issue under the previous regime, he added. Answering a question about Pakistan’s policy towards Afghanistan, Mr. Kasuri said that we can change everything but our neighbour. It is unfortunate that the West, including the British Prime Minister Cameron’s recent statement, blames us for running with hares and hunting with the hounds, but they misunderstand Pakistan’s intent. Afghanistan is our neighbour and we have to talk to all parties there for a lasting peace and a working relationship. Pakistan is committed for regional peace and stability but some jihadi groups enjoy popular support which displays a negative image of our country. Mr. Kasuri said that Pakistan’s relations with Israel are 50 year old. Both Israel and Pakistan are aware of each other’s capacity to harm each other. The purpose behind our contacts with Israel has been the proposition of Land for Peace presented by King Abdullah, in a resolution passed by Arab League. Since Israel wanted to develop relations so it was prudent to send a signal from our side, he said. 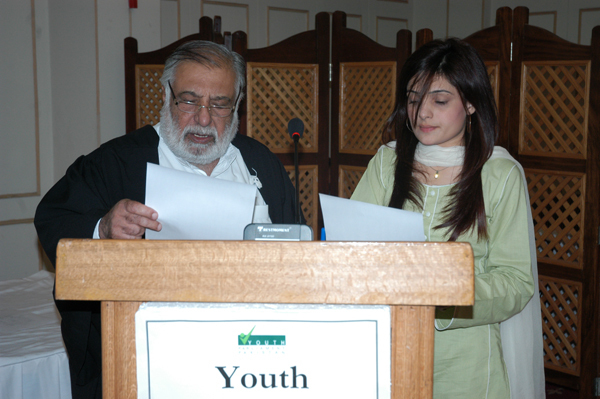 Earlier that day the, session began with oath taking of the newly-inducted Deputy Speaker, Ms. Ayesha Bilal Bhatti (YP27-PUNJAB09). The House invited the attention of Honourable Speaker towards the damage caused by the heavy rainfall and demanded immediate measures to restore normalcy from the government. “Modes of preservation of rain water must be adopted by building huge reservoirs that can be used for other purposes as well”, said the Leader of Opposition, Mr. Lehrasip Hayat (YP23-PUNJAB05). Another Calling Attention Notice was presented on the issue of violence against women and asked for strict action for the perpetrators from the Government. The recent issue of violence on Nurse of Jinnah Hospital, Karachi was also discussed and an explanation was also demanded. A resolution was passed that the SAARC forum for PAK-INDIA Economic Integration in the energy sector. It will be beneficial for Pakistan and India to be on the same platform to cope with energy crisis and economic integration.